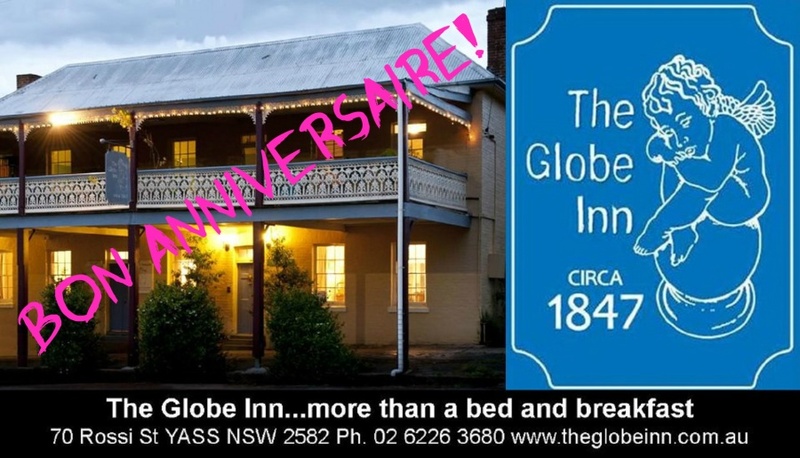 commented on "We are celebrating 3 years since we made the tree change to beautiful Yass Valley and became the lucky custodians of The Globe Inn. ..."
We are celebrating 3 years since we made the tree change to beautiful Yass Valley and became the lucky custodians of The Globe Inn. Thank you to everyone who has joined us along our journey over the past 3 years. We hope to see you soon!